Bishoujo Hanafuda Kikou Michinoku Hitou Koi Monogatari Special (美少女花札紀行 みちのく秘湯恋物語スペシャル) is a table game developed by O-Two and published by FOG for the Sega Saturn. 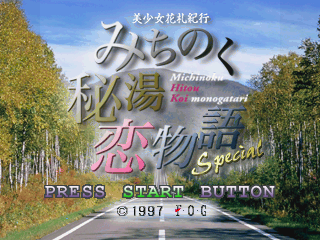 It is based on the Japanese card game Hanafuda, and was released four months after the PlayStation version. Main article: Bishoujo Hanafuda Kikou Michinoku Hitou Koi Monogatari Special/Magazine articles. MITI_ABS.TXT TXT (Abstract) 166 About this game.